Accordingly, the education system of Gujarat Vidyapith include regular participation in community work, residential life, social service, community prayers, simple and self reliant living, study tours and field studies, Hand spinning and training in Craft Work. The program of education has been linked with the national needs of rural uplift with a view to promote education conductive to the grass - root levels of the society. The chief concern of the Gujarat Vidyapith is to conduct experiments in various fields of education with a view to develop the application of Gandhian thought and way in all aspects of education. Gujarat vidyapith is indias on of the finest university which teach the value of 'Ahimsa' and the real perception of Mahatma Gandhi's life and the real meaning of 'Ekadash Vrata',which includes truth, non-violance,nofear,no theft,etc. 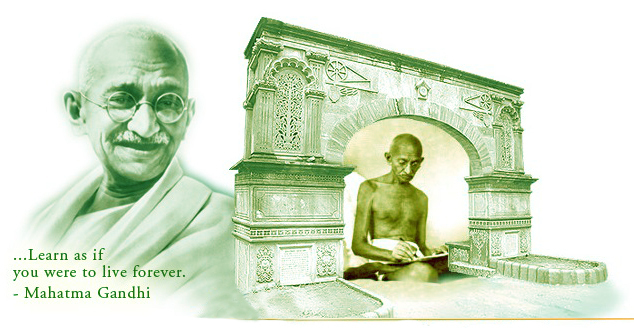 Mahatma Gandhi strongly belives in self help and self reliance. in gujarat vidyapith students take part to make thair food by them self. students are also take part in prabhat pheri which is part of indian culture. every year student wents for 'padyatra' in padyatra students make analysis of indian villages and studies the life of village.gujarat vidyapith thinks that indipendent and developed country is the achivment of well mannered people. and well devloped people is the man wich thinks about country.